I decided a few weeks ago to break my blogging silence in the run up to the referendum, and the events of yesterday have somewhat concentrated my mind. I had imagined this article would be a magnificent rant about the lies and hate-mongering of the Leave campaign, but as I come to write this, I’ve found myself rather angered out. Like many people with a history working in politics, Jo Cox’s murder feels close to home. I was working in Lib Dem HQ in 2000 when Cllr Andrew Pennington was killed by a constituent in Nigel Jones MP’s constituency office. I’ve worked the political beat in West Yorkshire. I campaigned for one of my friends, also called Jo, who also went on to represent the community she grew up in in Parliament. So yeah, despite having walked away from party politics, there are plenty of parallels in my own life to have given me pause for thought over the last 24 hours. The referendum itself has become an undignified, ghastly mess. As a survivor of a previous referendum campaign, this of course has not surprised me one bit. What has surprised me rather more by how, as we near the finish line, I’ve found myself feeling quite as strongly as I did. Twelve, even six months ago, I was feeling distinctly ambivalent about the EU. The way Greece has been treated, essentially as the sin eater for Eurozone’s shortcomings, has been appalling. The refugee crisis has been met with moral cowardice and indifference. Regardless of the TTIP’s merits or flaws (I’m genuinely on the fence), its secrecy has been, to say the least, undignified. For quite a while now, it hasn’t felt like the EU I felt proud to be a member of at the turn of the millennium. The one thing I can say about this referendum is that it has clarified my thinking on that. Because the question arises, again and again, what the alternative is. I’ve heard countless people talk about how the EU is “undemocratic” – and yet not a single supporter of leaving the EU seems interested in a system that would be more democratic. I can think of a number of ways in which the EU could be made more democratic. Opening up Council meetings, for example; there’s even a debate to be had over directly electing the Commission president (regardless of the pros and cons of that particular one, I doubt Jean-Claude Juncker would have had an easy time winning a popular vote). None of them whatsoever involve negotiating EU legislation in the same way that we negotiate bilateral treaties – entirely in the hands of the executive, with most of the work and negotiating done by civil servants entirely behind closed doors. If we’re serious about improving the democratic scrutiny of EU legislation however, the most crucial place to start is home. Why, for example, are the committees which do the lion’s share of scrutiny of draft EU legislation, seated in the entirely unelected House of Lords? Why doesn’t our parliament scrutinise legislation as closely as so many other countries take for granted, particularly Nordic countries such as Denmark? In turn, if Parliament really wanted to give people more say, there are plenty of models it could adopt. None of these reforms would require agreement in Brussels – we could adopt them tomorrow if there was the political will. If the EU ceased to exist tomorrow, the need for it would continue. We need trans-national agreements on standards; you might bristle about having to meet EU standards, but believe me you would bristle a lot more if you had to comply with 27 national ones. We need trans-national agreements on social and employment rights, because otherwise employers will face a Dutch auction, with the companies with the worst records in looking after their employees free to price out those with the best. And yes, all too often the EU, far from being an exemplar of free and open trade, is a cosy club of wealthy nations. But scrapping an organisation with protectionist tendencies with a free-for-all in which nation states will be under even greater pressure to roll up the drawbridge, isn’t going to solve that. Most of the EU’s failings can be put down to narrow national self-interest, something which the EU exists to mitigate. You don’t solve that problem by embracing narrow national self-interest; I’d have thought that was self-evident. I’m actually not convinced that its main problems are institutional; predominantly, they’re cultural. “Europe lacks a demos,” by which is meant a sense of common identity and purpose amongst the people, has become a cliché, but it is nonetheless true and I can’t see an easy solution. Put simply, the vast majority of people just don’t feel a sense of ownership of the European institutions, let alone control. People struggle to name their MEPs and our media does little to report their work. As such, we have a set of actually quite open and democratic bodies which effectively operate in secret because so few people are actually paying attention. It gets worse though. I think you could equally argue that local government largely lacks a “demos”. It is increasingly becoming true of national parliaments as well. Since 2009 and the expenses scandal, closely followed by the coalition government’s utterly failed programme of reform, the feeling that Westminster is unreformable and irrelevant seems to have set in. Increasingly, political outsiders are being invoked to ride in and solve all our problems, regardless of how unrealistic and futile their positions are. And it’s a global phenomenon: for every Nigel Farage, there’s a Donald Trump; for every Jeremy Corbyn there’s a Bernie Sanders. What I’m getting round to saying here is that the problem with the EU is not rooted in the fact that we look to our cosy nation-states to represent us and solve our problems, but that democracy itself is in crisis because it is reliant on a sense of identity and common cause that we are losing rapidly. It’s a loss the left is struggling with more than the right, but even though the right is finding itself the beneficiary, it is becoming something shrill and even more incapable of providing reforms that don’t simply make things worse. Moderates who indulge their right flanks are being replaced by demagogic parodies of the politicians they have supplanted. Not even countries with the best democratic systems are proving immune to this problem, which is fundamentally technological at root and thus irreversible (unless you consider nuclear apocalypse to be an option). Our problems are increasingly global ones. Our communities are too, even if they’ve become narrower. Walking away from the EU won’t stop that; it will just make our problems harder to solve. Nowhere is this more true than in the case of migration. Economically, we have benefited hugely from immigration and we simply can’t control our borders without international cooperation. There simply is no drawbridge to pull up. Where there is a clear failure in our immigration policy, it is our national failure to ensure that the wider public see those benefits – especially in the case of providing decent social housing for all. The refugee crisis isn’t going to magically go away if we decide the leave the EU. The tight border controls at Calais aren’t magically going to be made impermeable if we go – and does anyone seriously believe that the price of French cooperation in that regard is not going to go up if we do? Laughably, the Leave campaign’s solution is a “points-based” system along the lines of Australia – a country with a higher number of immigrants per head of population than we do; and while they’re busy plastering brown faces on their billboards with an explicit aim to scare white people, they’re quietly telling Asian voters that they’d make it easier for their relatives to come to the UK. I don’t think I’ve ever seen a more disreputable political enterprise in the UK, with the stakes as high as they are, yet it plugs into people’s fears and has proven effective. And does anyone seriously doubt that if they get their way on the 23rd, public dissatisfaction about immigration will get anything but worse? I have no idea what the solution to any of this is. What I do know is that things will go downhill, much more quickly, if we vote to leave next Thursday. What I do know is that the EU, already under pressure as people across Europe increasingly vote for insular and and xenophobic parties, will struggle even more. And I know that those self-same xenophobes, whether they wrap themselves in Nazi flags or claim to be insulted at the suggestion that they have anything in common with fascists, will only lead us to more violence, death and bloodshed. Not a single one of these problems will go away if the UK votes to remain, but we might just get a little bit more time to breathe and come up with something that might work. And I can’t believe that close pan-European economic, political and social cooperation won’t be part of that solution. 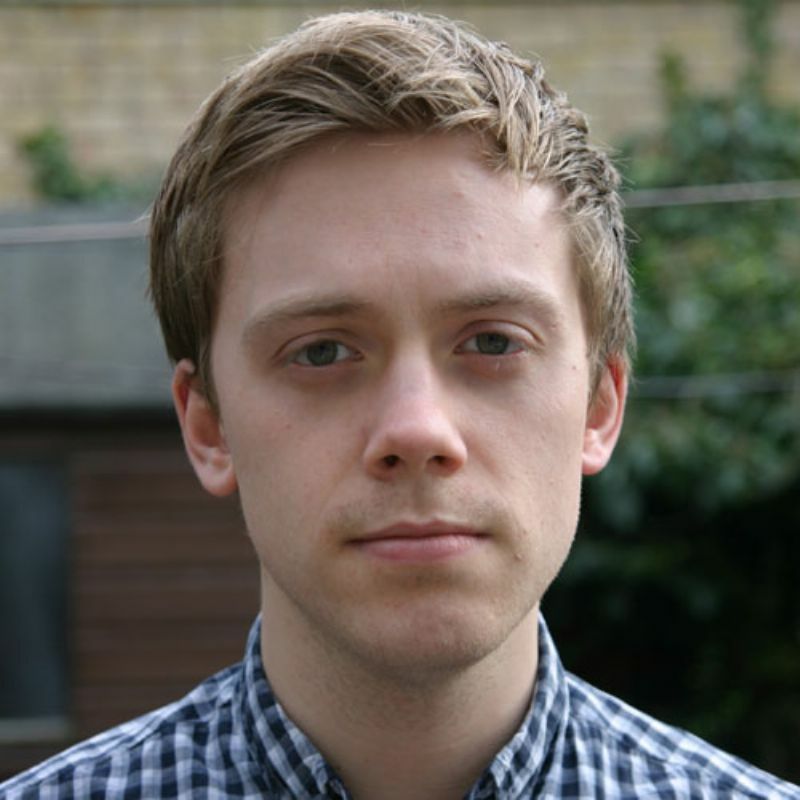 My ire was particularly roused yesterday by Owen Jones’s latest attack on Nick Clegg. Now, regular readers of this blog may be aware that Nick Clegg is not exactly my favourite person, I actually agree that Clegg is populist with little in the way of actual principles, and that this latest capitulation to crack down on virtually non-existent use of the UK welfare system by EU migrants is an apt if depressing example of this. But Jones’s analysis has one fatal flaw: he’s a member of the Labour Party. You don’t have to agree with Martin Shapland’s equally flawed analysis that the fact that Labour have equally let down EU migrants and indeed the UK electorate that that somehow makes the Lib Dems’ own actions more acceptable to agree that Owen Jones and his cohorts are in no position to criticise. If Clegg’s “scapegoating” of EU migrants (which is to ignore the fact that the Lib Dem position is far less coherent than simple scapegoating) is “unforgiveable”, then what does that make Yvette Cooper’s claim that the coalition are playing catch up behind Labour on this issue? Indeed, so behind the coalition were Labour on Tuesday that they set one of their lead attack dogs to smear Laszlo Andor, an EU commissioner who had the unmitigated gall to criticise the UK for adopting such a policy, wrongly claiming he was a fascist. This isn’t the first time, and won’t be the last, that Clegg’s team has concluded that with Labour and the Tories united on an issue they might as well go along with it for fear of being singled out. It was the same reasoning that made Clegg so keen to not come out against the snooper’s charter. Clegg isn’t a liberal, although he wore that mask for a while, and his mission is to be seen to be in the centre of politics between Labour and the Tories, no matter where that centre happens to be (he’s only sticking with the party’s pro-EU stance because he knows that dropping it would lead to a split the party would not survive from). He’s pretty despicable. But does anyone really believe that is more despicable than the party leaders he is slavishly following? Miliband could have caused a split within the coalition by adopting a pro-migrant, and fact-based stance on immigration. Leaving aside his ethical and moral responsibilities, he had a responsibility to do so as the leader of the official opposition. Cringing in fear of how Lynton Crosby would respond, he chose not to. I’m not suggesting the Lib Dems should be let off the hook, merely that they are irrelevant. Even if every single Lib Dem voted against these measures, the combined Labour-Conservative hegemony would get it through parliament. If Owen Jones truly had the principles he has pinned his professional career to, he would have chosen to lay into who is possibly the next prime minister for his cowardly stance, rather than the leader of a declining third party. Does anyone else see the irony in choosing to pull his punches on Miliband and ramp up the rhetoric on Clegg in an article denouncing the political practice of scapegoating? This is black propaganda indeed. Remind me how the gagging law will prevent a UK “Koch Brothers” again? One of the common arguments by the supporters of the Transparency of Lobbying, Non-Party Campaigning and Trade Union Administration Bill is that it will prevent the UK equivalent of the Koch Brothers from being able to buy the political process for their own nefarious ends. So it is with good timing that Paul Sykes has re-emerged, promising to do “whatever it takes” to get UKIP to become the largest UK political party in the European Parliament after the elections next year. Paul Sykes, for those with short memories, was a Conservative donor who switched sides in the early noughties. 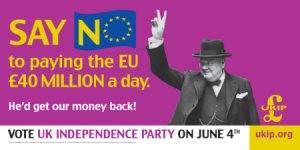 The billboard campaign he funded in 2004 had a direct effect on the result, in which UKIP leapt from 3 MEPs to 12. Even without his intervention, it was looking distinctly possible that UKIP could become the largest party in 2014, with the Tories’ popularity being dented due to being in government, and the BNP collapsing. Now it is looking like a very real prospect indeed. This sort of intervention by a Eurosceptic millionaire is hardly a new thing in British politics; it’s been an ongoing saga since the Maastricht debate shot Europe up the political agenda 20 years ago. And while it’s true that they have occasionally dipped their toes into non-party campaigning with causes such as the disastrous (in terms of its impact compared to the amount of money that was reportedly spent on it) IWantAReferendum.com, they have predominantly sought to exert their influence via political parties rather than pressure groups. All of which makes shroud-waving about what might happen when “Koch UK land here” seem rather odd; their tanks are already on our lawn. The policy solution is of course to limit what individual’s can donate to political parties, an issue which the coalition paid lip service to but have now walked away from even after we saw progress made on alternative, revenue-neutral funding mechanisms and the Labour Party shifted ground significantly in terms of their own trade union-led opposition to the idea. Gratifyingly the government have now – for a short period at least – agreed to pause the legislative process, to allow more time for ministers to listen to the concerns of civic society organisations. We can thank organisations such as 38 Degrees for helping to win that respite. Hopefully it will lead to meaningful engagement and at least some of the scrutiny that the bill should have got before being read in parliament. Optimistically, it might even lead to a more robust legislative framework to regulate the role third parties can play in elections. But be under no illusion whatsoever that it will do a thing to remove the dominance millionaires have over the UK political system. Do you remember “grammar streaming“? That remarkable non-policy that Cameron came up with in 2007 designed to shut down the spiralling rows over grammar school policy that had been raging throughout the summer? Cameron’s announcement about European Policy today reminded me of that prime example of ridiculousness. Like grammar streaming it is an attempt to square a circle which a large proportion of his backbenchers, frontbenchers and grassroots are obsessed with beyond all reason, despite the fact that a compromise in this case isn’t really possible. Part of the problem is that the Tory rhetoric about Lisbon for the past four years has been so over the top that lamely muttering “never again” doesn’t begin to rectify things. If the Lisbon Treaty was as bad as they have been claiming it is then the logical course of action is to call for the UK to leave the EU. That they are not tells you everything you need to know about what they really think about how pernicious this treaty really is. European Treaties consist of rules that we have to live with from the moment they are ratified. They are not mere events. They aren’t a kick in the balls that you feel sore about for a while but which don’t fundamentally change anything. Yet this is how the Conservatives have consistently portrayed them. Maastricht was supposed to be the treaty to usher in the European Superstate. It didn’t happen. Then we were told that the secret plan was in Nice. Didn’t happen. And so we go on, treaty after treaty. Each time the Tories confess quietly that, yes, the last one wasn’t anything like as awful as they had been making out but THIS one on the other hand… it is laughable. Cameron’s new cast iron guarantee appears to consist of two legislative steps: first, they will pass a law asserting Parliamentary sovereignty. Second, they will amend the European Communities Act 1972 to prohibit the further “transfer of power to the EU” without a referendum. The first one is interesting because Bill Cash attempted to introduce precisely this rule into the Lisbon Treaty bill last year. Cameron – and most of the Conservative Party – abstained. So this is another EU-turn. But they had good reason to abstain – Cash’s amendment was meaningless. Parliamentary sovereignty has always been a mythological concept, as evidenced by the fact that the executive in this country wields enormous royal prerogative powers. The Tories may now want to shave off the worst excesses of the royal prerogative, but they have shown no sign of ending them. In particular they haven’t called for the government’s treaty-making powers to be invested in Parliament. Laws such as the Treaty of Lisbon Act are really just niceties – there is nothing to stop the government from ratifying treaties without Parliament. And indeed they do in the case of less controversial treaties. One thing you can’t do is call for Parliamentary sovereignty with one hand and then demand popular referendums to ratify EU treaties with the next. Unless, it seems, you happen to be David Cameron (to be fair, most of the Conservative Party thinks the same thing). In any case, what does this pledge mean in practice? Under Lisbon, the European Council can make all sorts of changes without going as far as agreeing another treaty as long as all the member states agree. If Cameron agrees to one of these cosy little deals will he subject it to a referendum vote, or claim that it doesn’t count because it isn’t in a treaty? And what does “transfering power to the EU” mean anyway? We have done no such thing. We’ve pooled sovereignty which is a very different thing. Once again, that appears to give him a lot of wriggle room. What is so special about European treaties anyway? If, heaven forbid, the Copenhagen talks result in a radical global commitment to reducing carbon emissions, it will have a profound effect on UK law. We will in effect be ceding our power to set energy and environmental policy for decades to come. It will be far more profound in practice than Lisbon. Will Cameron therefore be demanding a referendum on it (I right this as someone who thinks it might not actually be a bad idea as it would force the country as a whole to contemplate the crisis we face)? What about the Nuclear Non-Proliferation Treaty, due for renegotiation in the next couple of years? Is there a more profound impact on our sovereignty than security issues? The whole thing smacks of style over substance and an attempt to buy a handful of naturally very angry people off. What I don’t understand is why it all seems to have been written on the back of a fag packet. Cameron must have known he was going to have to come up with a Plan B this summer as the opinion polls made the Irish “yes” win look increasingly likely. Yet he carried on pretending that the Lisbon Treaty was dying. The decision to promote Dan Hannan was especially surprising given the whole NHS debacle. He knew Hannan was a loose cannon and one who was causing him grief at the time. He knew Hannan would rather garotte himself than accept a U-turn on Lisbon. Yet he appointed him anyway, with predictable results. I think Cameron will be a disastrous Prime Minister if he gets the chance: another Tony Blair but without the steel. His photo in the Guardian yesterday summed it up perfectly, something which Alastair Campbell has been mercilessly taking the mickey out of. It really is the most excrutiating photo of Cameron since That Bullingdon group shot. Here is a man who clearly puts more thought into his image than into his policies. The result is that both end up pretty laughable. And yet, and yet… Gordon Brown is so spectacularly awful and incompetent that none of this seems to matter much. Despite the fact that UKIP will be having a field day trying to extract as much support from Eurosceptic Tories as they can on polling day, it probably won’t be enough. As with grammar streaming, the loony wing seem to have been largely bought off with this vague assortment of half promises and purple rhetoric. It certainly looks at the moment as if a sizeable chunk (by no means a majority) of the British public have made their mind up that they want Cameron as the next Prime Minister. I’m pretty sure they will shortly repent, but there doesn’t seem to be any telling them. Mr Klaus, the sole remaining leader in the European Union not to have signed the document, conceded that despite his personal opposition to the treaty, it was now too late to stop it. Er, David, your last figleaf just fell off. I’ve just got back from an hour’s stint on LBC talking about Yurp. Myself and fellow guest Hugo Brady from the Centre of European Reform were both under the impression we were there to discuss how the European Parliament works and the elections themselves. Instead we found ourselves being asked to mount a full frontal defence of the EU itself, covering everything from the CAP to auditing budgets. Not an easy task when you aren’t prepared (and as a non-expert of the subject I probably wouldn’t have gone on on that basis, but there you go). For the record, incidently, I would quite happily scrap the Common Agricultural Policy. It’s appalling. If you do think that however, and you actually care about people unfairly affected by it in developing countries (as one of the callers purported to do), then the single worst thing you could do is pull out of the EU and allow the opponents of reform to have it entirely their own way. I don’t like a lot of UK policies and want UK political reform, but if you heard me calling for us to pull out of the UK on that basis you would consider me to be an utter loon. What I didn’t get a chance to discuss were the poll findings that Vote Match/Unlock Democracy unveiled yesterday suggesting that tomorrow’s turnout could be an all time high for the European Elections. 50% in our YouGov survey said they were definitely going to vote (another 11% gave an ‘8’ or ‘9’ incidentally), which YouGov advise suggests a nominal turnout of 43-45%. That’s pretty unprecedented. It is clear that the reason for this potentially (and comparatively) high turnout is not a hard fought contest about the European Parliament itself (if only) but MPs’ expenses and the subsequent meltdown of the UK Parliament. In short, the public are out to give the political classes a bloody nose. But it is also interesting to note both the generational and gender differences. Simply put, younger voters will be turning out in much fewer numbers and are not doing so because they simply don’t know what the elections are about. Older voters are, unsurprisingly, most likely to turn out. But it is the middle-aged voters who are most likely to abstain because of the expenses scandal itself. Women are likely to turn out in comparative numbers to men but their reason for not doing so again has more to do with not knowing enough about the elections than it has to do with scandal. YouGov have also done an eve of poll for the Telegraph, suggesting that Labour may be pushed into third or even fourth place. As Anthony Wells has been chronicling, the polls are all over the place at the moment – the pollsters’ rules-of-thumb assumptions which they use to weight their data appear to have been blown wide open by the collapse in Labour support. We live in unprecedented times and it remains to be seen which pollster emerges with the most credit. Nonetheless Anthony makes a good fist of an argument that YouGov are likely to be more accurate than most and for all their critics they have tended to be quite accurate. Either way, it looks terrible for Labour, with the Tory and Lib Dem levels of support staying at around their 2004 levels. The Greens look like their vote will be up while UKIP could either be significantly up or a bit down. Those figures come with a health warning, not to mention the fact that national swings are pretty spurious at the best of times. But it does highlight one aspect of this election which has been criminally under-reported: the resurgence of the Green Party. The psephology behind their Stop Nick Griffin campaign is entirely spurious but there is no escaping the fact that every vote for the Greens in the North West will make it harder for the BNP to get elected (where they are wrong is where they claim that a tactical Green vote is better than a vote for the Tories, Labour, Lib Dems or UKIP in this respect). And with a poll leap of the scale that every pollster appears to be reporting will result in a quite healthy haul of Green MEPs. This is a big deal – certainly a bigger deal than the possibility that the BNP might win a single seat. Yet by and large they have been ignored. If I have one prediction to make about these elections it is that they will be a vindications of the proportional voting system. I dislike closed list systems but even closed list-PR is better than closed list-FPTP. Would we be looking at such a dramatic result if we still used FPTP for the European Elections? In one sense, we would. The story right now would not be “will the BNP gain a seat in the North West?” but “will the BNP gain seats in East London, the Potteries, Greater Manchester and West Yorkshire?” All of these areas are places where FPTP has enabled the BNP to gain a foothold – often gaining swathes of seats with remarkably small shares of the vote. The BNP would have a much easier time targeting four old-style Euro-constituencies than they have targeting a whole region. Far from making it easier for the BNP then, PR has actually made it tougher. But overall, it would have lead to business-as-usual. PR has given the public a means of punishing the political class (which as a whole, completely deserves it). Without PR, we would be looking at a repeat of 1989 where the Greens got 15% of the vote and not a single seat. Now maybe it is time the Greens (and UKIP) got their act together and learned to target but the electorate shouldn’t have to wait for them to get their tactics right in order to express its displeasure (and targeting is at best a necessary evil in any case). Face the facts: under FPTP, we would not now be looking at as high a turnout and the main parties would be sitting pretty. The public would have no outlet to vent their frustration. That would have been a dangerously unhealthy state of affairs. It is certainly frustrating that the last thing this election is being decided upon is what it is osensibly about – the future direction of the European Union. But if what we get in exchange is the first real opportunity for the public to fully express itself in a UK-wide election, that is a price worth paying. Now: let’s replace it with an open list system or STV so it can be even better! You never know, it’s just possible this might happen. 2008 presented a real quandary for me: on the one hand, I was (not uncritically) supportive of the European Constitutional Treaty. Its mutation into the Lisbon Treaty made it weaker still, removing one of the main advantages of the Constitutional Treaty in the first place (specifically, that it was a clean slate and relatively easy to read compared to trying to follow a succession of amending treaties), but on balance it contained just enough good things in it for me to have voted “yes” in any referendum. On the other hand, such a referendum was not forthcoming. I may be pro-European, but I’m also a democrat. I don’t believe the only way of ratifying a treaty like Lisbon is to hold a referendum, but we needed some kind of procedure to ratify it which recognised it was more than just another act of Parliament. There are many ways this could have been done – a super majority in both House of Parliament or two votes on either side of a general election – but fundamentally, the vote would have been lost whichever way you did it. And just to add an extra layer of cynicism, the Lib Dems came up with this idea of having a referendum on membership as a whole, knowing that neither of the other parties would back it, just so they could have a figleaf to put on their Focus leaflets. And all that I could live with if the pro-European parties were prepared to stick their necks out and actually argue the case for European Union. Except they don’t, fearing it will make them unpopular. Either way, by June it looked like this whole sorry exercise was over. Then, Ireland threw a spanner in the works by – uncharacteristically – voting “no” in their own referendum. Since then we have been in limbo, with no-one seeming to have a clue what to do next. Unlike some, I don’t think Ireland’s decision to now have a second referendum is undemocratic. If the political class in Ireland feel confident that the public will change their mind and vote accordingly second time around, that is fine with me. I’m amazed they’re doing it though; if I were Irish I’d be very tempted to vote “no” just to spite them. The money is on a second “no” vote surely; isn’t it just delaying the inevitable. The whole debacle is part of a wider failure of the EU’s political class to provide leadership on, well, pretty much anything over the past decade (Timothy Garton Ash showed the extent of the EU’s failure in his Guardian column last week). Enlargement and the Euro have been successes but all the heavy lifting for both of those we done in the nineties. All we’ve had since then is a lot of petty squabbling and a tunnel vision obsession about fiddling with the institutions. This needs to change, finally, in 2009. Following the second Irish referendum the Lisbon Treaty will be either alive or as dead as dead can be; the zombie-shuffle of the past six months will finally be at an end. The first thing we have to take steps to ensure is that some of the more dim EU leaders don’t start drawing up plans for a Son-of-Lisbon Treaty. Instead, we have got to make do with what we have. Secondly, we have major challenges to tackle. Immediately, there is the Middle East Crisis of course. By the end of 2009 we have the replacement of the Kyoto Protocol to worry about. And then of course there is how we deal with Russia, Turkey, the Balkans, the global economic downturn… all of these amount to a clear need for the EU to get serious and stop dicking around. The Lib Dems can do their bit by campaigning in the European Parliamentary elections as an actual pro-European party rather than trying to dazzle people with irrelevancies. The decision to run the elections at the same time as the County Council elections won’t make this easy, and if we have a general election as well, debate about Europe will more or less dry up completely. But after spending 2008 in such a mess, it would be good to see us finally articulating an unambiguously positive vision for Europe. No-one else is going to.